This painting was inspired by the so-called 'thyristor converter'. In December 2004, the NorNed project started an HVDC transmission link with a 700 MW ±450 kV transmission capacity that connects the power and the cable system for the major portion of the cable route. 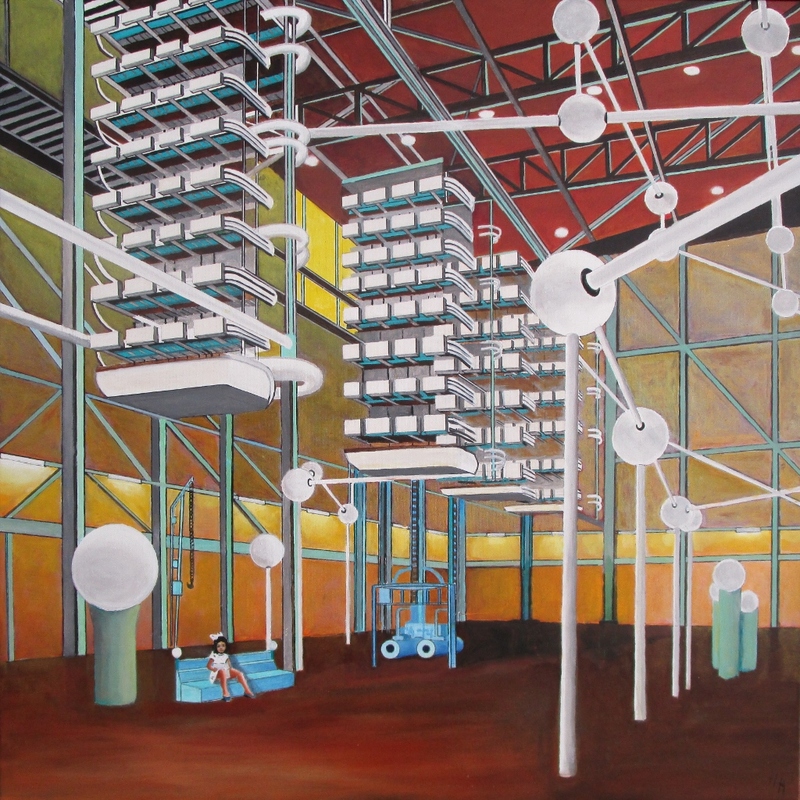 The converter stations are located at the Feda substation in Norway and at the Eemshaven substation in The Netherlands (on this painting). The interconnection, which is based on market coupling, has lead to power trading between the two countries and increased the reliability of electricity supply in both. The flexibility and speed in controlling the level and direction of the power flow provides many benefits, such as increased security of electricity supply, improved utilization of the power plants, reduced CO2 emissions and assistance in further development of renewable wind power. On this painting one person is visible, a little girl (a cousin of the painter) an she experienced the transformation from the Dutch Indies after the second world war into the modern Dutch society.